When undergoing cataract surgery or a clear lens exchange (CLE) procedure, your surgeon will use an intraocular lens, or IOL, to restore your vision. At Progressive Ophthalmology, we offer standard monofocal IOLs as well as premium multifocal and toric types to meet your needs. Dr. Michael Ahdoot can review the unique benefits of our various IOLs during a personal consultation at our Queens, NY, practice. Contact us today to schedule a consultation. 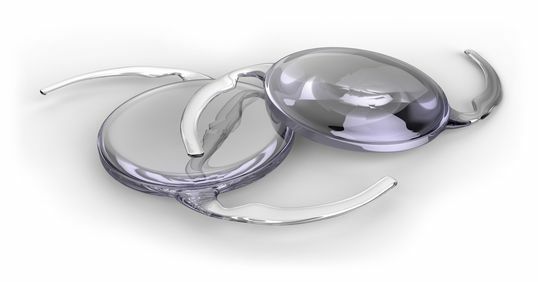 An IOL is an artificial replacement for a natural crystalline lens. Ophthalmologists have been using this technology to restore and enhance patients’ vision for more than 50 years. Advances in technology have led to new types of IOLs – even ones that can correct presbyopia and astigmatism. If you will be undergoing cataract surgery or a CLE procedure at our practice, Dr. Ahdoot will review the benefits of each IOL to help identify the type that is right for you. TECNIS® Monofocal: These lenses are designed to improve contrast so you can see well, even in low-light situations like driving at night, dining by candlelight or walking in a morning fog. AcrySof® IQ Monofocal: The AcrySof® IQ IOL is an aspheric lens that is designed to reduce spherical aberration and has been shown to improve night driving performance versus a conventional spherical IOL. Monofocal IOLs are more affordable than premium types, and they are usually covered by health insurance. Patients who are seeking to focus at multiple distances, and those with astigmatism, can choose from premium IOLs by world-renowned brands. TECNIS® Multifocal: These IOLs were designed using WaveFront™ technology, which creates an extremely accurate multifocal IOL. TECNIS® Multifocal IOLs can also minimize glare and improve low-light and nighttime vision. Acrysof® IQ ReSTOR® Multifocal: These IOLs allow you to focus at a range of distances, dramatically reducing or even eliminating the need for glasses or contact lenses. Crystalens® Accommodating: An accommodating IOL can bend and flex like a natural lens. With Crystalens® accommodating IOLs, patients can focus on both near and far objects without the need for corrective lenses. Premium IOLs are typically more expensive than other types and often require you to pay out-of-pocket, but many patients feel they are a worthy investment. AcrySof ® Toric: These IOLs offer the greatest correction range available, meaning more patients than ever qualify for them. During an extensive study, nearly 100 percent of AcrySof® IQ Toric IOL patients did not require eyeglasses for distance vision. TECNIS® Toric: These IOLs are extremely stable and can be customized based on the needs of the patient. TECNIS® Toric IOLs are made of advanced materials and engineered with extreme precision to provide patients with clear vision. With toric IOLs, Dr. Ahdoot can correct cataracts and astigmatism during a single procedure. Progressive Ophthalmology is pleased to offer its newest addition to the TECNIS® family of intraocular lenses. The TECNIS Symfony® is currently the first and only Presbyopia-correcting extended depth of focus intraocular lens (IOL) on the market. TECNIS Symfony® IOL mitigates the effects of presbyopia (inability to read without glasses) and, with a toric version, can even correct astigmatism. This is the first lens of its kind to be able to correct both presbyopia and astigmatism thus empowering patients to see clearly across the full range of vision! In the past, Presbyopia sufferers were limited to traditional IOL implants such as monofocal and multifocal IOL’s. TECNIS Symfony® provides a much better solution. Click here to find out more about this new innovative treatment option. Advances in technology have led to new types of IOLs – even ones that can correct presbyopia and astigmatism! If you will be undergoing cataract surgery or a CLE procedure at our practice, Dr. Ahdoot will review the benefits of each IOL to help identify the type that is right for you. The IOL that is best for you will depend on your unique characteristics and preferences. To learn more about the IOLs we offer, reach out to our practice today.